At Dr Phil Lockie's practice, we also offer The ORBERA® Managed Weight Loss System, which is a non-surgical option for weight loss. 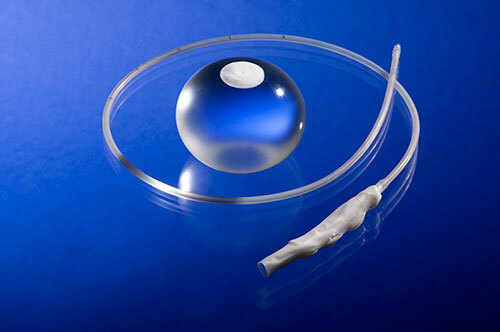 A soft silicone intragastric (inside the stomach) balloon is temporarily inserted for six months into the stomach without surgery and filled with sterile water to create the feeling of early and prolonged fullness after meals. The balloon is inserted into the stomach while deflated while the patient is lightly sedated. Once inside, the balloon is filled with sterile water through the filling tube. The procedure usually takes 20-30minutes. After the procedure, you will most likely experience nausea and vomiting for up to 72hours, and will have discomfort for the first few days while your stomach gets used to the balloon. The balloon is removed the same way it was placed, via the oesophagus; it is punctured and the sterile water is suctioned out through a tube. The deflated balloon is then removed. As with all aspects of the practice a foundation of coaching is recommended from our psychologist, Michelle Van Vuuren and dietitian Michelle Graham. This is also supported by a comprehensive postoperative program. Individual follow up is all a part of the service.